Way To Go For The Jeans Cult In Vogue! 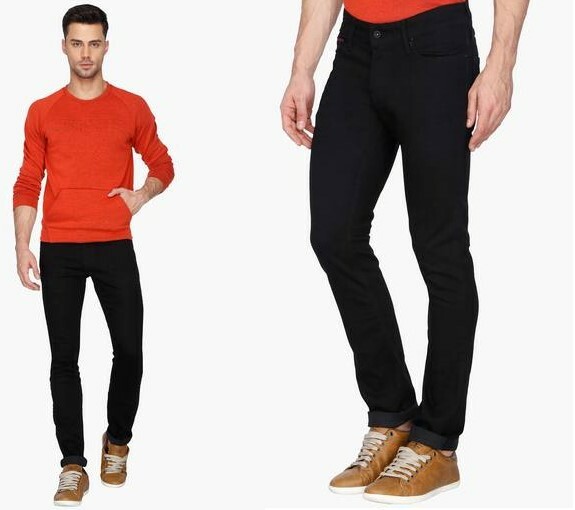 A pair of jeans is one absolute wardrobe essential that is sure to have its place somewhere or the other, the one you just cannot live without. Whatever season it may be, a pair of jeans is what’ll always come handy & pair up with probably every outfit you plan on putting up with. So here are a few popular men Jeans trends you can experiment with, exclusively for men! 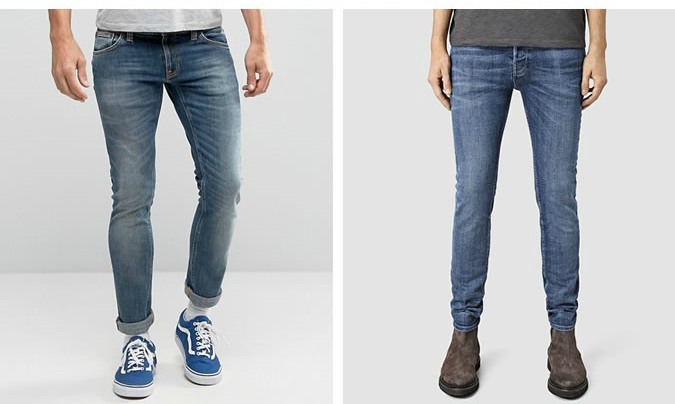 Following up with the ones in vogue, the distressed jeans are quite popular these days, for if you’re thinking of experimenting with the artful cuts & creases & the ripped parts you’d rather pick up these pieces for the ultimate rugged edge. Pretty much the casual yet classy affair these jeans lend that edgy yet tasteful feel – a perfect choice for your everyday wear, that can be paired up with pretty much for every spontaneous occasion, available in a range of brands & patterned to choose from! Getting on with the basics is a classic & evergreen choice to make, one that probably never runs out of style. One such trend is that of the basic black monochrome, the easiest one to pull off with any style of dressing – be it the casual carrier, the semi-formal or the more polished formal with an array of mix & matches thrown up in pairs. This is one style that doesn’t offer colour clashes, suited to pair with any & all in different fabrics & fitting for you to choose from as suited. This is the kind that you choose if not going very much for the skinny-fits, much in vogue for the relaxed, loose-fit stylesfrom the waist to the leg opening, relaxed cut denim without the body hugging. 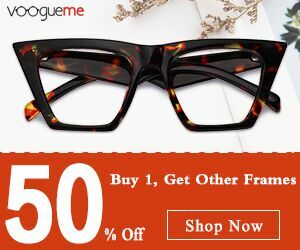 It has become a fad these days, with people opting for the laid-back fits for the casual attire for the snug fitting that never loses shape. 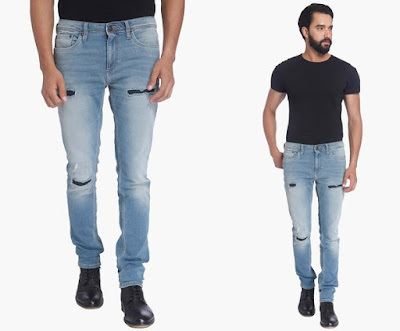 It is a wonderful alternative to opt for the not too shape oriented & all fit & body type sort of options, come to be the ‘new’ jean style in a comeback after a decade, though it is extremely essential for you to pick the right piece with the right pairings or it can downplay the entire look. The light washes & neutral basics have come to top the fashion trends, back with bang to go out with the white monochromes paired with the lighter blends, so while you’re bored with the indigo denims, this comes across as a refreshing choice to indulge in. With regard to their match up pairings, they are surely the tricky ones to style, but if done right, they set some super fashion goals. So while you go hunting for that pair of jeans this time, make sure you don’t land up picking out the same old boring stuff still stocked up in your wardrobe. 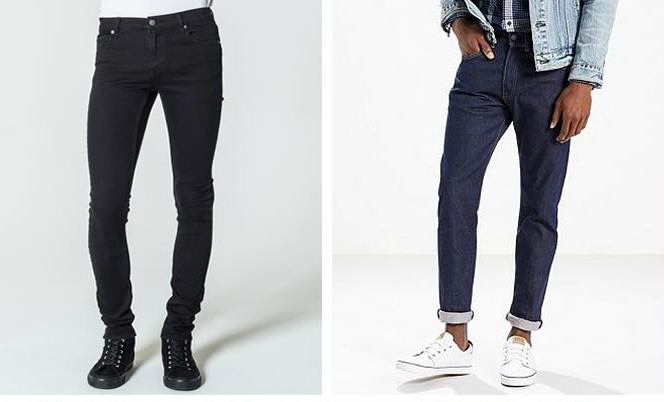 While a pair of jeans turns out to be a must have, get on some experimentation, pick up a few styling tips & get on with some really cool & trendy stuff to pull it off this time. While fashion limits you to no bounds, the best approach to getting on with that classy ensemble is to keep in mind a few basics like colour contrasts, fabrics, cuts & types for pairing up the mixes & matches for a casual yet exclusive look, for you to stand out from the crowd. So get on with your fashion instincts, get to the store & go looking for your perfect pair of jeans. Happy hunting!